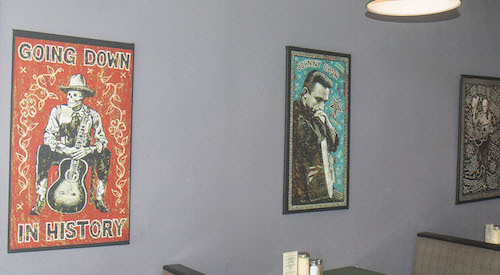 Ben and Steve also own Kingpin on Lyons Street near Prytania. Ben says Steve has been instrumental in getting everyone from Lusher, Green Charter, Newman and every school around to be part of the place. 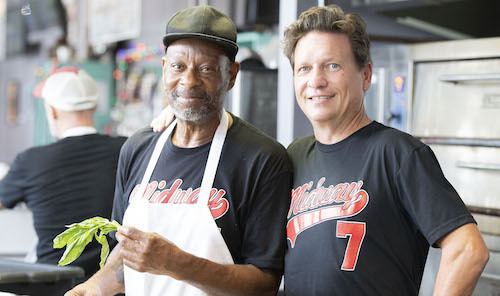 Every business owner up and down Freret Street has been gracious and then some. What makes them the proudest, though, is being a place where people can watch a football game, have a beer, and just be part of a great local community. Before opening Midway, Ben and Steve worked together in Austin, TX. 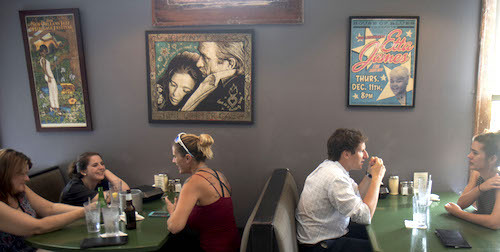 The restaurant walls are covered with art from both Austin & New Orleans. 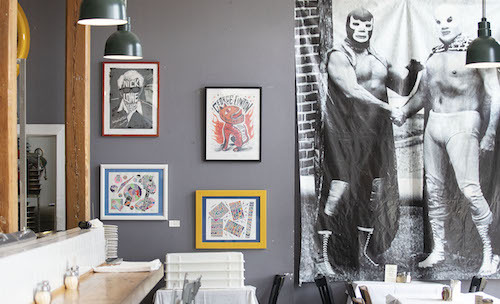 Rock & Roll and luchadores everywhere give the place a one-of-one, cool & funky feel. Most of the artwork is from artists they know personally, but the Mexican wrestler theme has a more organic history. The place has a welcoming feel that meshes well with their freshly made food options and daily specials. 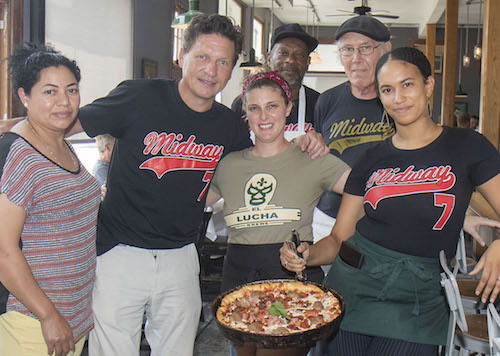 The pizzas are big—Deep Dish or Louisiana Thin-style—and they make everything from scratch every day of the week. 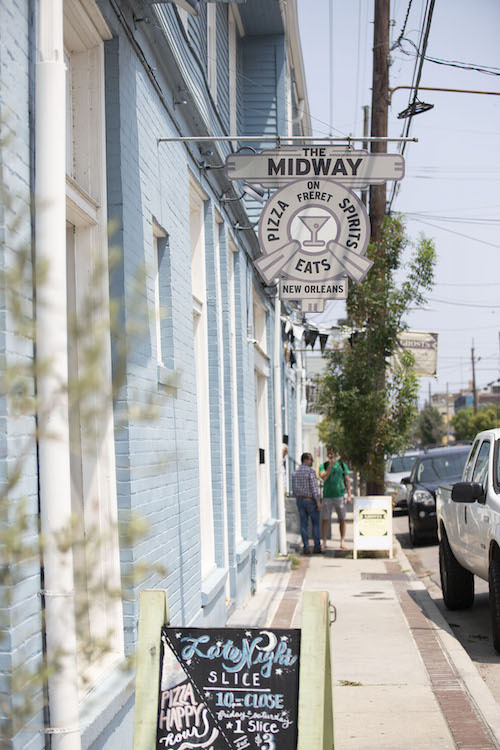 The Freret Jet, a crowd favorite, is a lunch buffet affectionately named after the street’s bus route. The Jet offers a salad and all the pizza you care to eat for just under $10 on weekdays. NOLA Messenger Business Profiles are about, and paid for by, local business owners. Read more profiles and learn how you can sponsor your own here.